It’s Friday…and what better excuse to have a cocktail? Actually, we don’t really need an excuse around here…and if we feel like we do, we just make one up. 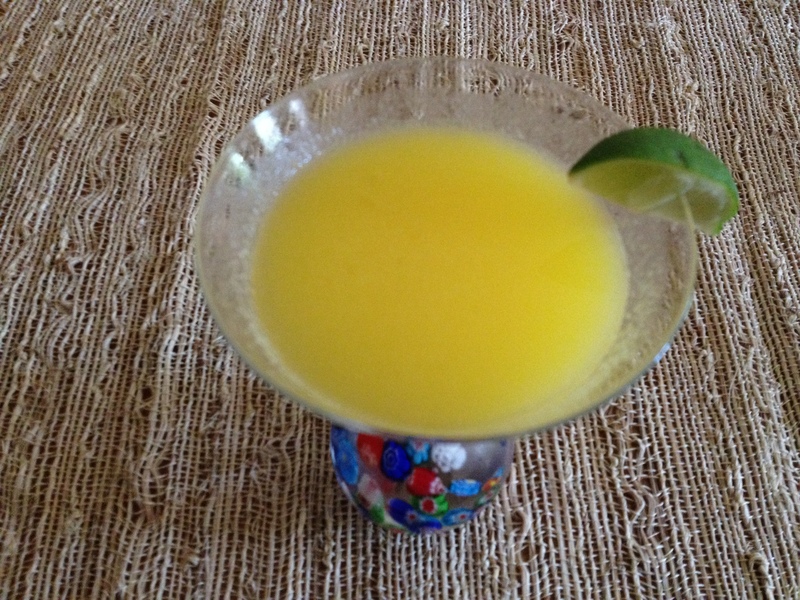 So for tonight’s happy hour, I’m going with a Mango Margatini. We really like our tequila around here…especially the good stuff. 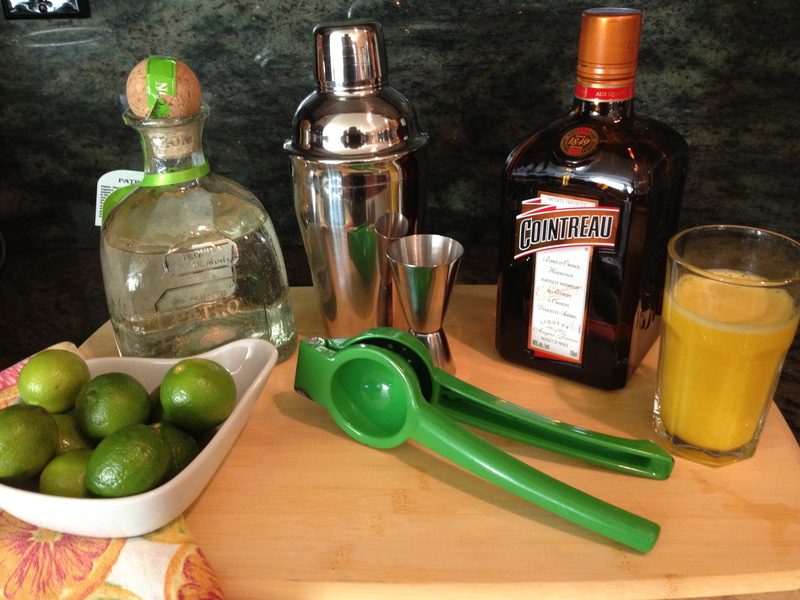 For this cocktail I’m using Patron Silver, a little Cointreau, some fresh mango juice, and a little fresh key lime juice. When your are dealing with good tequila, it would be a shame to mix it with anything other than really good fresh juices and quality liqueurs. I made the mango juice in my juice press. You could also puree it in a blender, but it will have a slightly different consistency. 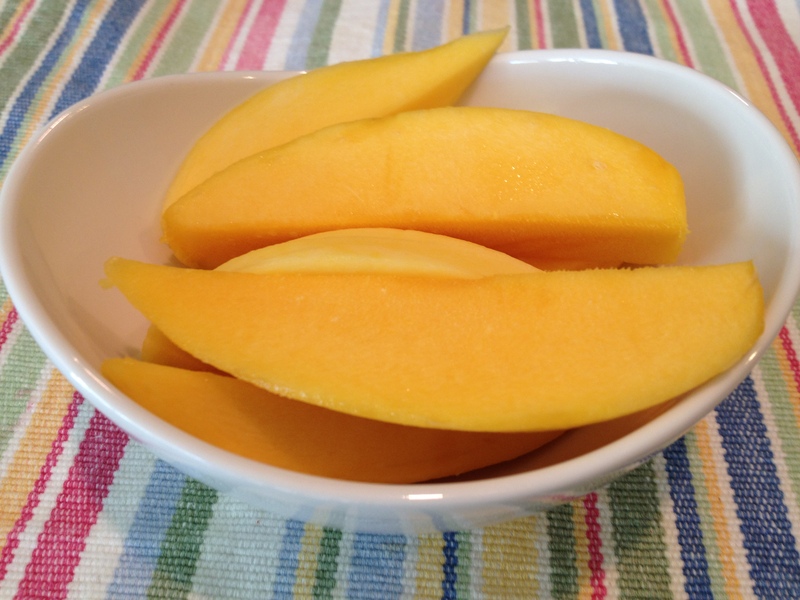 I bought a jumbo pack of cut up mango from Costco so I didn’t have to deal with too much prep work. I used key limes for this. 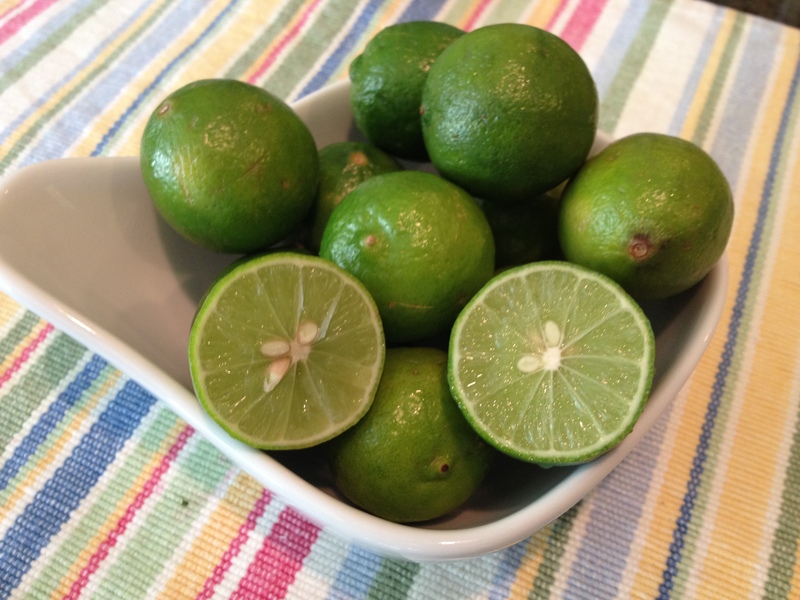 I squeezed about 10 limes to get 4 ounces of juice, and yes…it is totally worth it! Give it a good shake – you want this to be really well chilled since you don’t serve it over ice. Serve in a chilled martini glass with a lime garnish.